Four Seasons Residential Rentals with Four Seasons Preferred Partner benefits combine the best of both worlds: a luxury vacation home, but with complimentary breakfast (no dish washing! ), daily housekeeping and turndown service, and access to all the amenities of the resort without having to drive anywhere: pool, gym, spa, restaurants, kids' club, and golf, tennis or even skiing at some locations. Most important? Each Residence comes with Four Seasons service–huge peace of mind for anyone who has had a vacation rental go wrong and left scrambling for alternatives. Here are some of the Four Seasons Residential Rentals I'm eyeing for clients who are planning trips with friends who have kids of the same age, or multi-generational trips with grandparents, kids and grandkids. Costa Rica is a favorite family destination, with something for everyone: beaches, rain forests with ziplining and birdwatching, horseback riding, hot springs, and even a volcano national park. Plus, the Four Seasons Costa Rica offers golf, tennis, and the Kids for All Seasons kids' club for kids 4-12 years old. There are 4th Night Free and 6th Night Free offers that also apply to the Residence Villas, so for example for these sample dates in October, family or group of friends renting the Two Bedroom Residence Villa with Private Plunge Pool for 8 nights would pay an average rate of just $1575 + tax per night, taking into account the two free nights from 4th night free. The Two Bedroom Villa with Plunge Pool has two bedrooms, each with a king bed and full marble bathroom, plus a sofa bed in the living room, so it could sleep up to 6 adults, or 4 adults and 2 kids. TravelSort Clients receive Four Seasons Preferred Partner Benefits; the breakfast benefit for a 2 bedroom villa is up to 4 breakfasts. 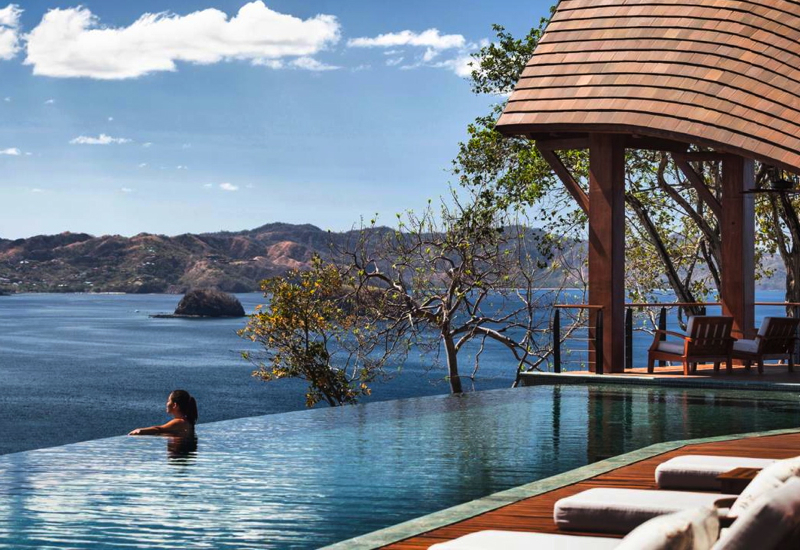 Four Seasons Resort Punta Mita in Mexico's Riviera Nayarit is beloved both by couples and families–similar to Four Seasons Hualalai, the resort manages to appeal to both. Couples gravitate towards the tranquil Tamai Pool Complex, with its underwater music, shaded trellis pool, infinity edge lap pool and whirlpool. Sushi, caviar and tapas are available poolside for light refreshment. Families with kids and kids at heart, meanwhile, enjoy floating down the Lazy River, and young kids love the splashing areas of the main Nuna Pool, with striking views of the Pacific and glorious sunsets. A great choice for an extended family or family and friends group is the Four Bedroom Private Ocean View Residence Villa, with one full marble bathroom per bedroom and able to sleep 8-10 adults, or 4-5 adults and 4-5 children. 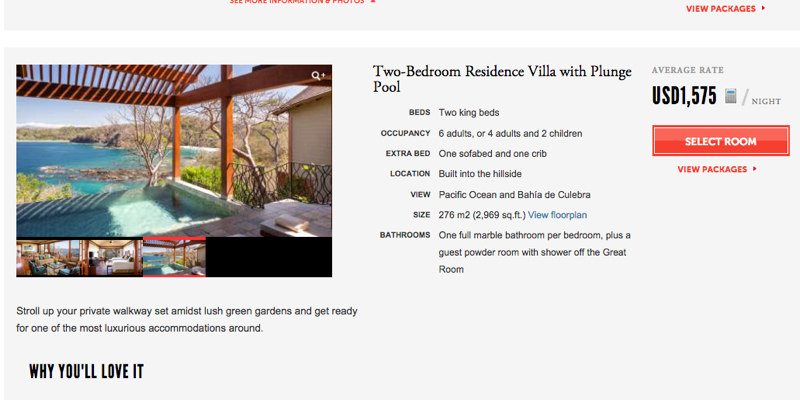 It comes with its own infinity edge pool and whirlpool and stunning ocean view. Those flexible with dates can take advantage of a 3rd Night Free offer. For these sample October dates, the first two nights were $5700 + tax/service per night, with the 3rd night free, coming to an average of $3800 + tax/service per night. Complimentary premium Internet in all suites. Who Should Consider a Four Seasons Residential Rental? Four Seasons Residential Rentals are great if you're traveling as a large family, with extended family, with friends, or just want to enjoy the comfort and flexibility of a fully equipped kitchen, more space, multiple bedrooms and laundry facilities. Where are Four Seasons Residential Rentals? How Do I Ensure Complimentary Breakfast is Included? Become a TravelSort Client and reserve your Four Seasons Residential Rental with TravelSort, to enjoy complimentary breakfast (up to two breakfasts per bedroom) and other Four Seasons Preferred Partner amenities. Is a Minimum or Maximum Length of Stay Required? 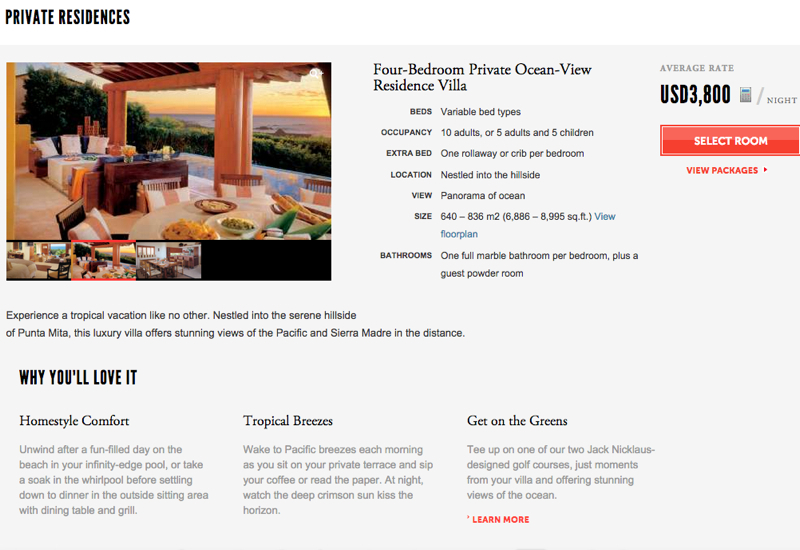 No–which makes Four Seasons vacation rentals more convenient than many other vacation rentals. Only certain holiday/seasonal minimum stay requirements that tend to apply to all the hotel's rooms/suites occasionally apply. Do Four Seasons Residence Guests Have Access to the Four Seasons Resort Amenities? Yes, guests at the Residences enjoy access to all the resort's services and amenities, including the pools, gym, spa, room service, housekeeping, Concierge, etc. If you've stayed at any Four Seasons Residences, what was your experience? Become a TravelSort Client and Book Four Seasons Residential Rentals with Preferred Partner Benefits!